Beer! Reason enough for all craft beer brewsters, brewers, and drinkers to vote, today. you can be the most powerful person in the nation. Think issues don’t impact you? You’d be shocked to know the number of people I encounter who think beer and politics don’t intersect. That couldn’t be further from the truth. In fact, alcohol and beer are overwhelmingly political. How many other industries have not just one, but two amendments to the U.S. Constitution? The 18th and 21st amendments are specifically about alcohol. From the taverns of the 1700s to the tasting rooms of today, our country has a long and complicated history with booze, and it is very much intertwined with politics. Need a Reason to Vote? Below are some of the issues that your state and federal legislators and regulators have a say in that could impact small and independent breweries. Not being able to sell beer to go. Limiting how much beer you can sell from your tasting room. Not being able to host trivia, show football games, or have food trucks. Not being allowed to have children in your brewery. There are many counties across the country where it is still illegal to sell alcohol. Federal excise taxes for breweries are currently lower, but only for a period from January 1, 2018 to December 31, 2019. Congress will decide whether to extend or make this legislation permanent. State excise taxes fluctuate more often than federal excise taxes. Most recently, Delaware’s excise tax on beer increased by 2¢ per 12-ounce can. From farm to table, everything about your beer is regulated. The administration and Congress have a say in a broad amount of regulations. Remember the spent grain debacle? Your legislators helped solve that. Tariffs on steel and aluminum, tariffs against products from China, and the new NAFTA all have the potential to impact breweries. Your elected officials are influential in some of these issues. Both the Farm Bill and the United States, Mexico, and Canada agreement still need to be voted on. While wineries are able to ship direct to consumers in most states, breweries are not. 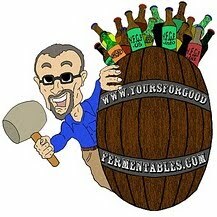 Homebrewers also face severe restrictions when shipping beer to competitions. These issues have both state and federal implications. In the 115th Congress, the House Small Brewers Caucus has 234 members, and the Craft Beverage Modernization and Tax Reform Act has 303 co-sponsors in the House and 55 in the Senate (more than half the U.S. Congress). Eighty members of this Congress are either retiring, have retired, are running for a different office, or have passed away. That doesn’t account for the members who will lose their re-elections. With 535 members, there is a chance that one-fifth of the U.S. Congress will be new members. We want to work with people who understand and support the needs of breweries. People rely on our businesses to survive. There are close to 7,000 breweries in the United States, employing more than 135,000 people. Small and independent breweries in the U.S. are valued at $26 billion. We also support a multitude of industries including manufacturing, agriculture, and retail. Many breweries have already started to take responsibility. Allagash Brewing Company in Portland, Maine; New Belgium Brewing in Fort Collins, Colo.; and IMBIB Custom Brews in Reno, Nev. have joined with Patagonia, Walmart, and other companies on the non-partisan “Time to Vote” campaign, which aims to increase awareness about the steps employers can take to give their employees time to vote. They understand that an active and engaged electorate is good for the brewing industry. You can follow in their footsteps by voting and by giving your staff time to vote, too. Activism is just as important to the longevity of the brewing community as quality, safety, and authenticity. Please make sure to vote! Federal affairs manager at the [U.S.] Brewers Association. Based in Washington, D.C. she plans and executes legislative, regulatory, and political strategies to drive the Association's federal affairs presence on Capitol Hill. * In YFGF's home territory, the state of Georgia, in May, the governor signed SB 17, a law that would allow restaurants throughout Georgia to begin selling beer, wine, and cocktails at 11 a.m. —rather than waiting until 12:30 p.m. as the law (only approved in 2011) stands now— but only if residents in a city or county first vote to approve it there. The referenda —known colloquially as the Brunch Bill or Mimosa Mandate— are on the ballot in nearly fifty Georgia cities and counties, including Atlanta. Stores, supermarkets, and other retail establishments will not be affected and will still be required to wait until 12:30 p.m. to begin off-the-premises alcohol sales. 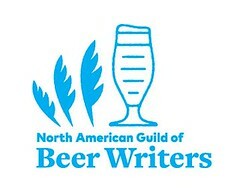 Ms. Marisic's essay originally appeared on the website for the [U.S.] Brewers Association, on 29 October 2018. You have the right to vote. If anyone tries to stop you, call the Election Protection Hotline at 1-866-687-8683. We also wrote a handy guide that outlines your voting rights. The beer blog is dead. Long live the beer blog.